A MAGNIFICENT, ANTIQUE, 19TH CENTURY, THREE PIECE MATCHING BEDROOM SET. A MAGNIFICENT, ANTIQUE, 19TH CENTURY, VICTORIAN, THREE PIECE MATCHING BEDROOM SET. IT FEATURES ELEMENTS OF DIFFERENT STYLES FROM THAT PERIOD INCLUDING VICTORIAN, REVIVAL AND EASTLAKE. 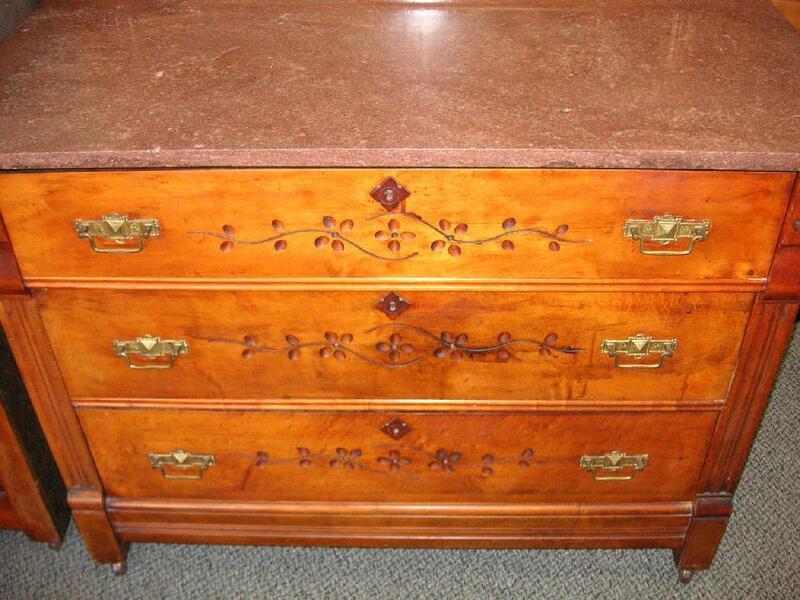 THE DRESSER HAS A BEVELED MIRROR AND BROWN/ROSE COLORED MARBLE TOP. 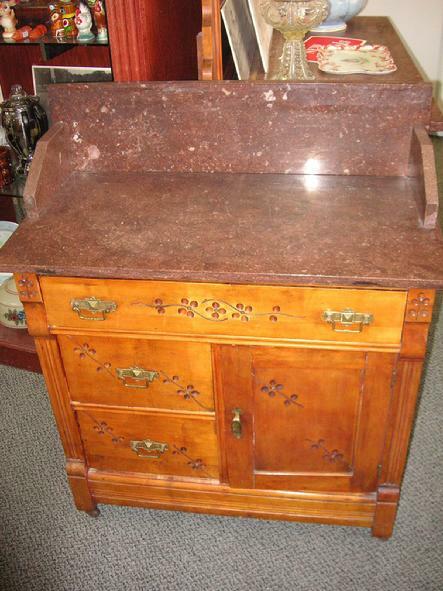 THE WASHSTAND/COMMODE HAS A MATCHING MARBLE TOP WITH BACKSPLASH AND MARBLE SUPPORTS. THIS SET WAS PURCHASED AT AN ESTATE SALE IN THE MIDWEST NEARLY 5 YEARS AGO. 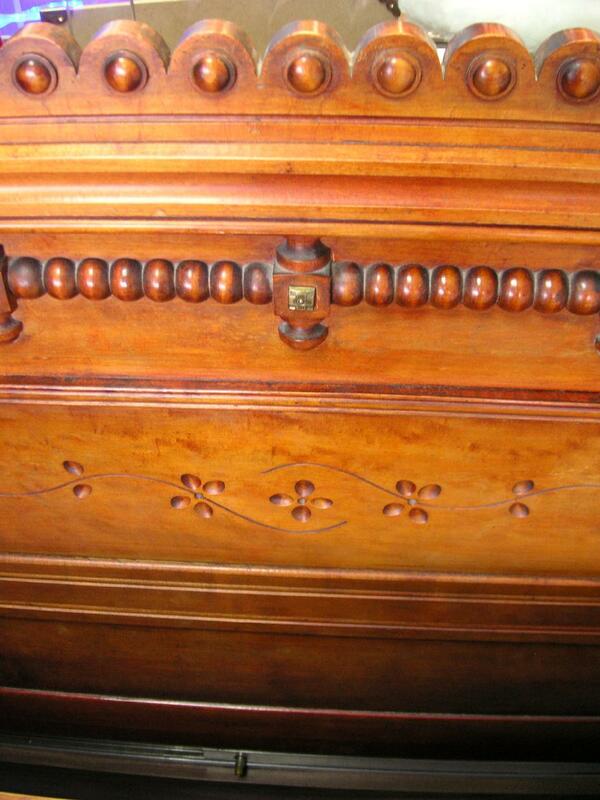 THE DRESSER HAS CARVED DECORATION, APPLIED MOLDINGS AND DEEP INCISINGS, FEATURING LEAVES OR FLOWERS (SEE PHOTOS). 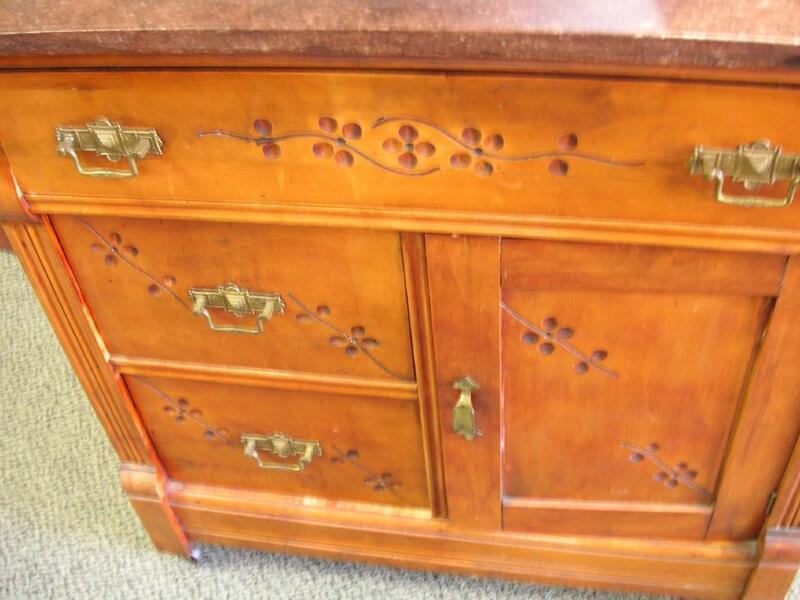 IT HAS THREE LONG DRAWERS WITH EASTLAKE DOVETAILING AT THE CORNERS. THE DRAWERS HAVE APPLIED WOOD ESCUTCHEONS AND THE ORIGINAL BRASS STAMPED HARDWARE AND BALES. THE ENDS ARE PANELED AND THE MIRROR HAS AN APPROXIMATE 1 INCH BEVEL. THE DRESSER HAS THE ORIGINAL CASTERS. THE MARBLE IS 3/4 INCH THICK AND HAS NO CRACKS OR CHIPS. 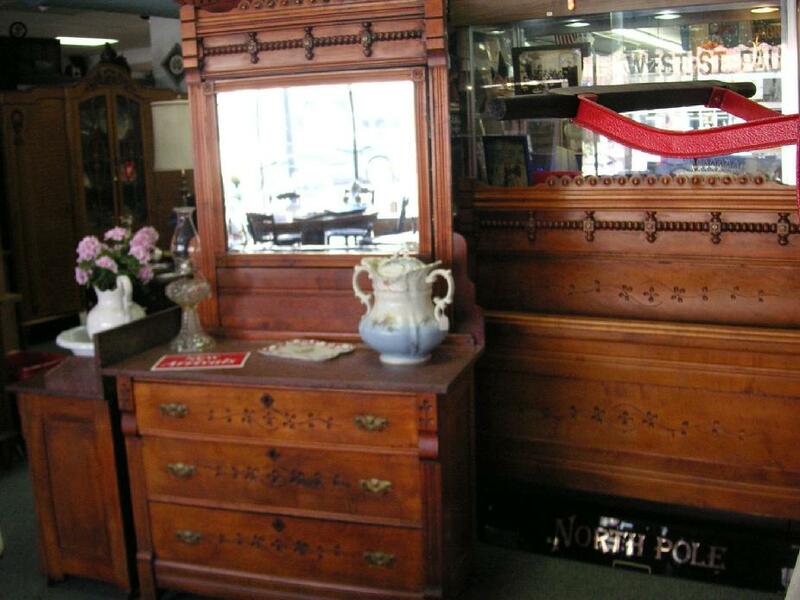 THE DRESSER MEASURES 78 INCHES HIGH; 43 INCHES WIDE; AND 20 INCHES IN DEPTH, Weight 240 lbs. THE WASHSTAND, OR COMMODE, HAS THE SAME DECORATIVE FEATURES AS THE DRESSER. THE WASHSTAND/COMMODE HAS ONE LONG DRAWER ABOVE, WITH TWO SHORT DRAWERS BELOW ON THE LEFT, AND A COMPARTMENT WITH A DOOR ON THE RIGHT. THE MARBLE BACK SPLASH MEASURES 7 3/4 INCHES HIGH AND THE TWO SUPPORT PIECES MEASURE 4 1/2 INCHES HIGH AND 8 5/8 INCHES WIDE. THE BASE HAS THE ORIGINAL CASTORS. THE WASHSTAND/COMMODE MEASURES 37 1/4 INCHES HIGH; 31 1/8 INCHES WIDE; AND 16 1/4 INCHES IN DEPTH, Weight 120 lbs. 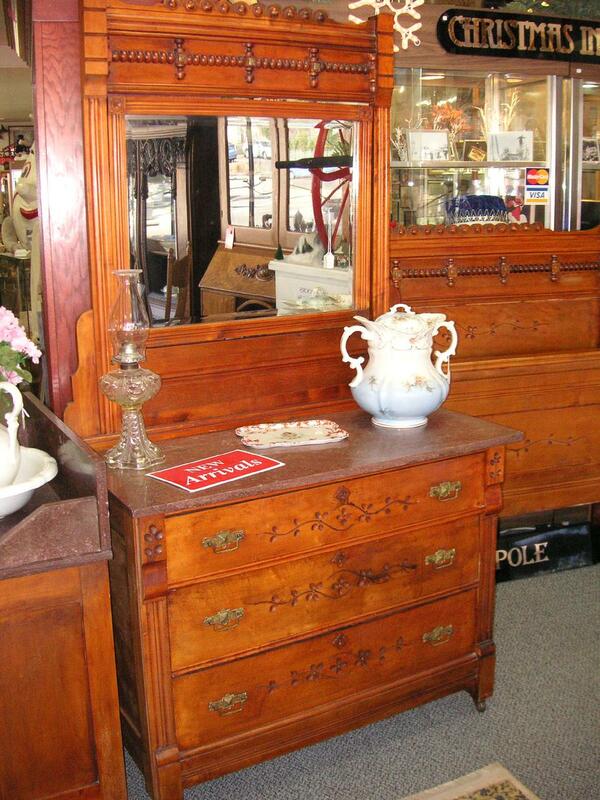 THE BED HAS THE SAME DECORATIVE FEATURES AS ITS MATCHING DRESSER AND WASHSTAND/COMMODE. THE HEADBOARD MEASURES 53 1/2 INCHES HIGH AND 57 INCHES WIDE. 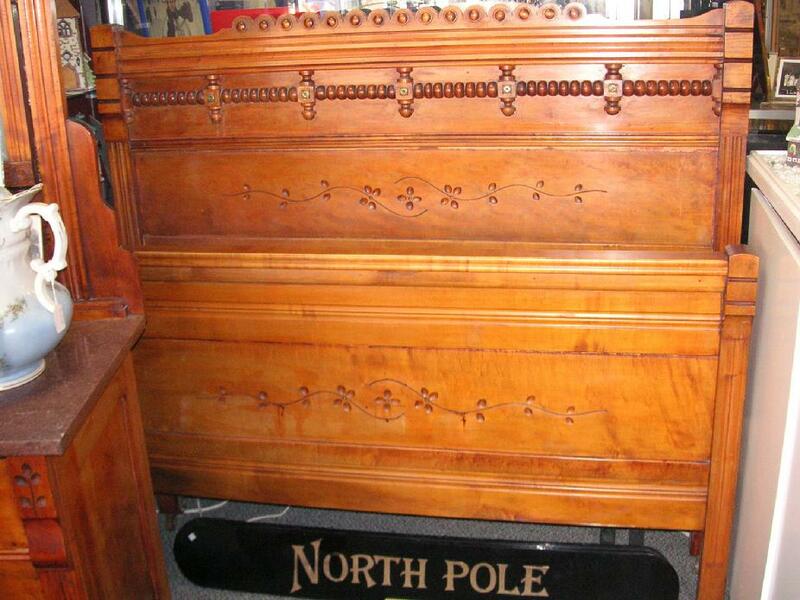 THE FOOTBOARD MEASURES 36 INCHES HIGH AND 57 INCHES WIDE. THE TOTAL LENGTH OF THE BED IS 79 1/4 INCHES. THE INSIDE MEASUREMENTS OF THE BED ARE 74 INCHES BY 51 1/4 INCHES, Weight 125 lbs. THE LISTED PRICE OF THIS THREE PIECE BEDROOM SET is $5,400.00. Total Weight of the 3pcs is 485 lbs. IT IS AVAILABLE FOR PICKUP AT SELLERS LOCATION FOR FREE. (651) 451-0398, we work to save you money on freight shipped items. OR Notify us which shipping service you chose and we will INCLUDE THE SHIPPING CHARGES WHEN PAYING YOUR INVOICE THROUGH PAYPAL, or give us time to put the shipping charge on your invoice. A telephone number is necessary to give to the shipper. FOR DETAILS CONTACT THE SELLER. THANK YOU FOR YOUR VIEWING. PLEASE CHECK MY OTHER LISTINGS FOR MORE VINTAGE ANTIQUE AND COLLECTIBLE ITEMS.. THE DRESSER HAS A BEVELED MIRROR AND BROWN/ROSE COLORED MARBLE TOP. MEASURES 78 INCHES HIGH; 43 INCHES WIDE; AND 20 INCHES IN DEPTH. 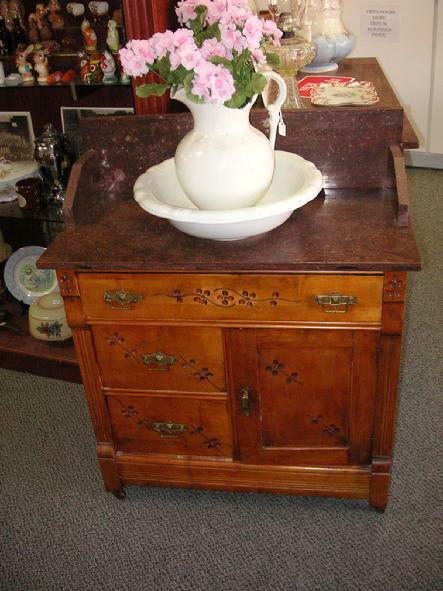 THE WASHSTAND/COMMODE HAS A MATCHING MARBLE TOP WITH BACKSPLASH AND MARBLE SUPPORTS. MEASURES 37 1/4 INCHES HIGH; 31 1/8 INCHES WIDE; AND 16 1/4 INCHES IN DEPTH. 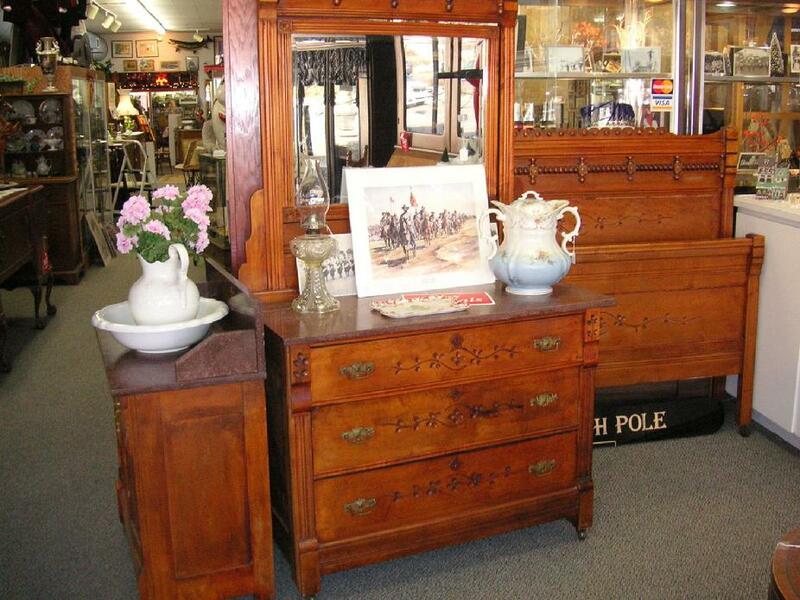 THE BED HAS THE SAME DECORATIVE FEATURES AS ITS MATCHING DRESSER AND WASHSTAND/COMMODE. THE HEADBOARD MEASURES 53 1/2 INCHES HIGH AND 57 INCHES WIDE. THE FOOTBOARD MEASURES 36 INCHES HIGH AND 57 INCHES WIDE. THE TOTAL LENGTH OF THE BED IS 79 1/4 INCHES. THE INSIDE MEASUREMENTS OF THE BED ARE 74 INCHES BY 51 1/4 INCHES. This is a Beautiful Bed Room Set. Please look at all the photos carefully.